These are some really old things I did, here for archival purposes. 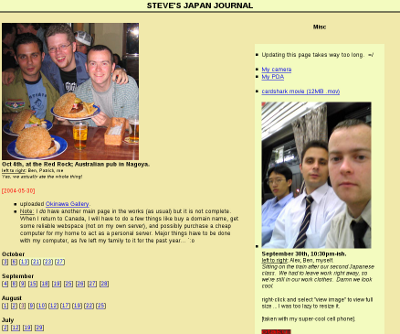 Steve's Japan Journal Static website I updated as a log of my time in Japan. 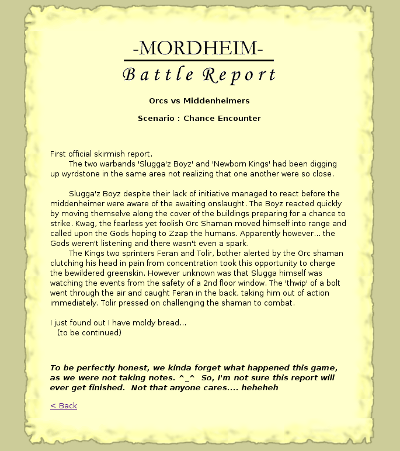 Mordheim Website for logging "battle reports" from tabletop games played with my friends. 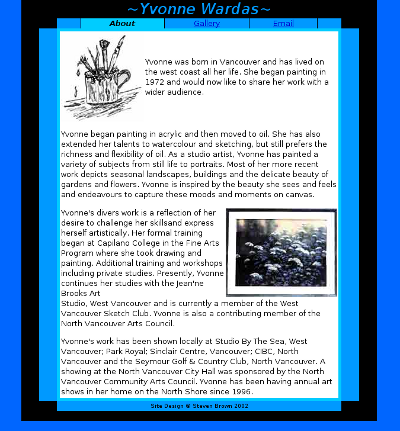 Local Artist Design created for a local artist's personal website. 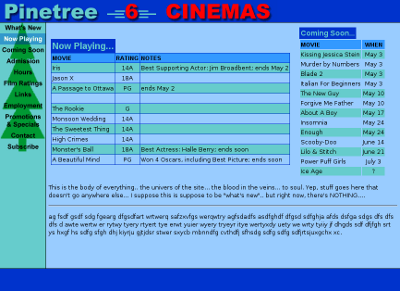 Pinetree 6 Cinemas Design for a movie theatre that is no longer. 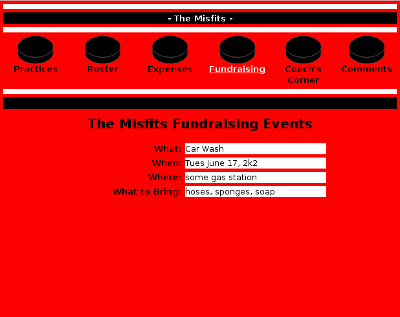 The Misfits Idea for a hockey team website that never fully developed. 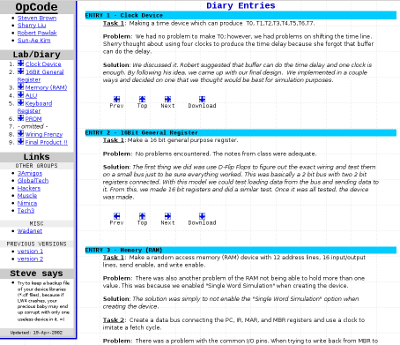 OpCode Website for logging the progress of a group project in college. The site is still live!.